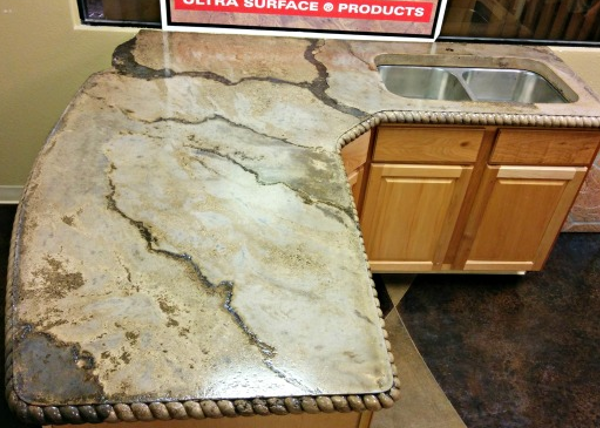 Kitchen countertops come in a variety of materials and the majority of them can put quite a dent in your pocketbook. 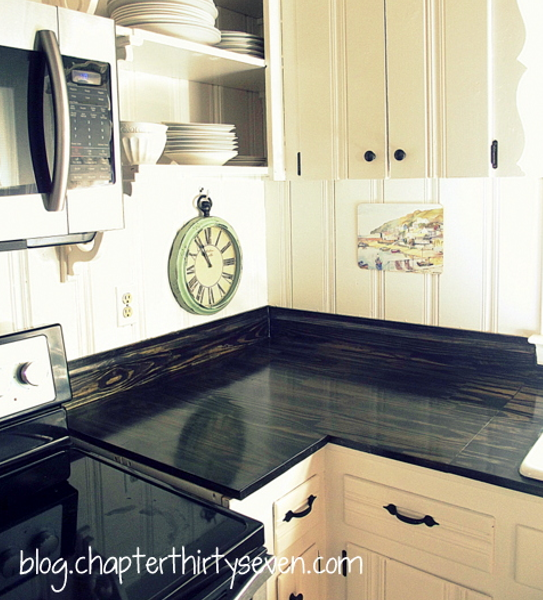 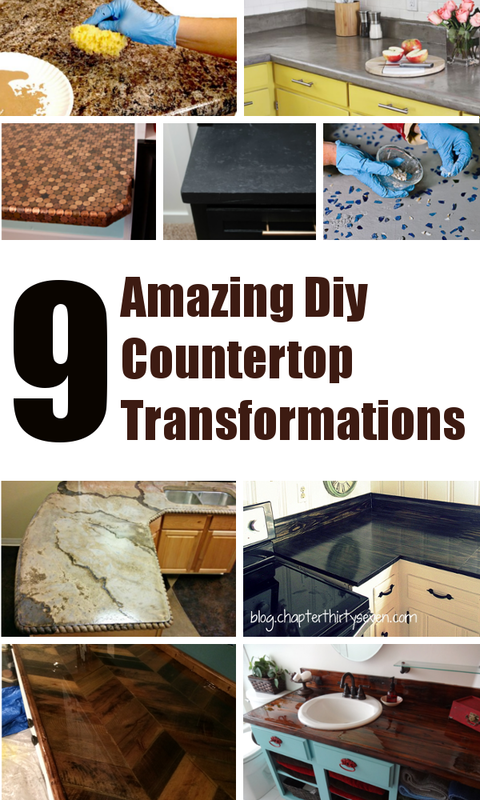 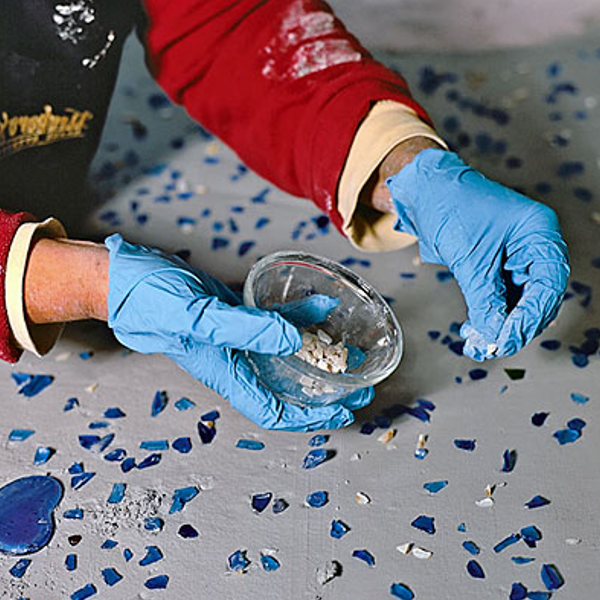 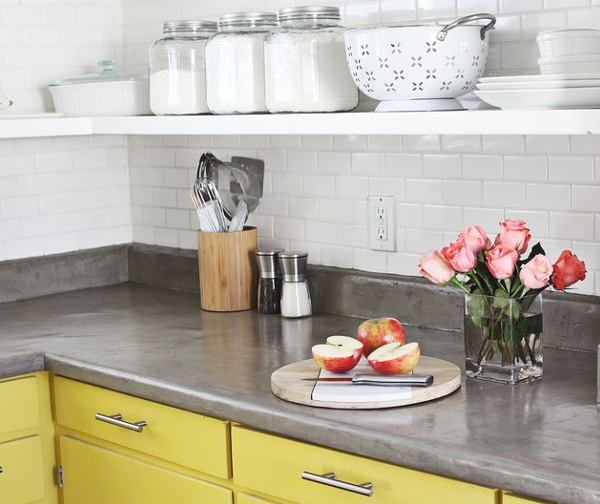 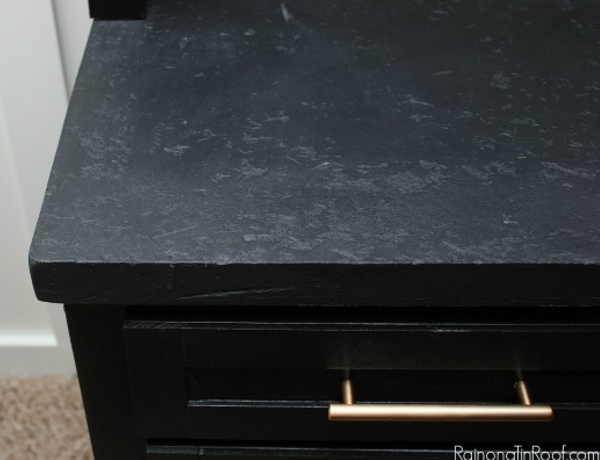 If your in the market for new countertops, save some money using these beautiful diy versions. 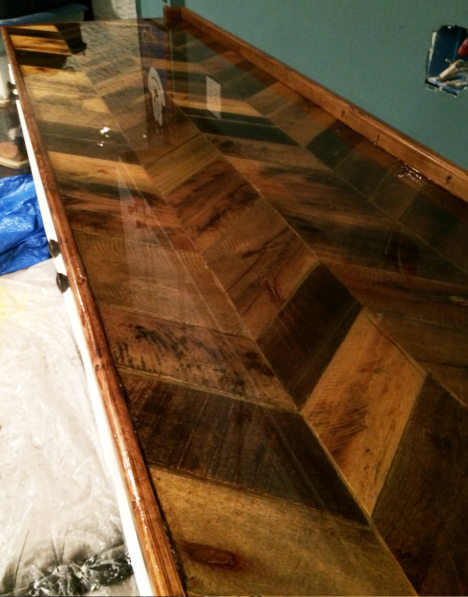 Of course I had to include a pallet countertop in this list. 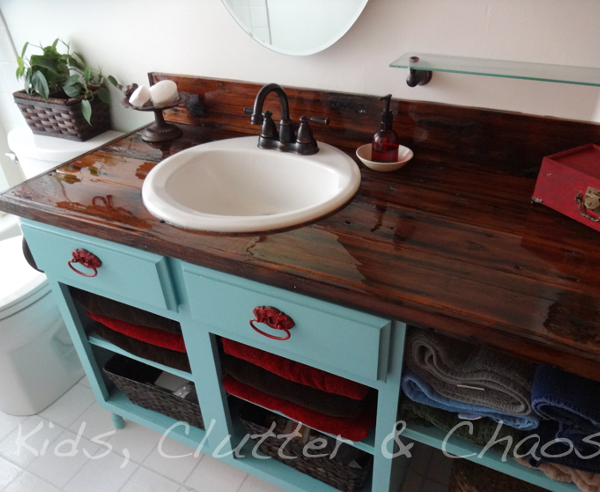 I couldn't find a tutorial for the above photo but I did find a tutorial for a table with a similar pattern. 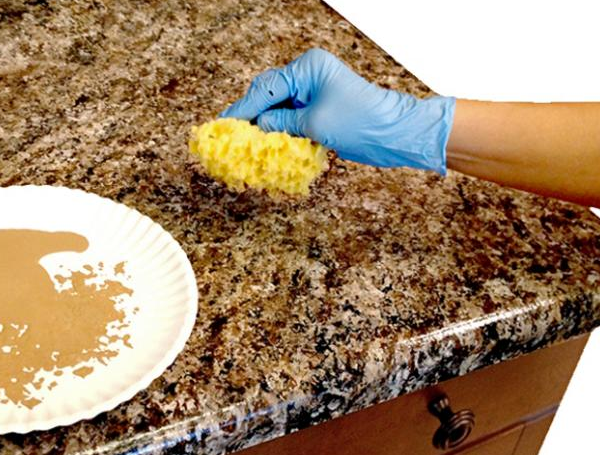 If you use the tutorial for your countertops you would need to add a few coats of epoxy to help seal and protect it. 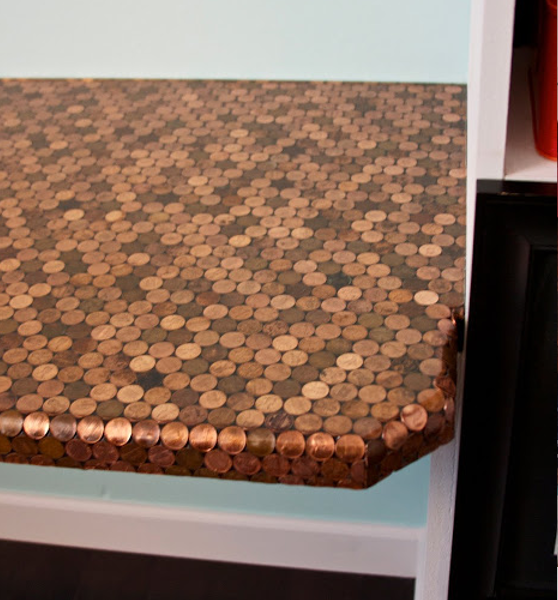 Table top tutorial found HERE.